Established in 1997 by Richard Munao, Cult is the Australian purveyor of the best in international design with a portfolio of over 35 furniture, lighting and accessories brands such as Republic of Fritz Hansen, Poltrona Frau, Magis, Cappellini, Zanotta, Vipp, Carl Hansen & Son, PP Mobler, Gubi, Louis Poulsen, Serge Mouille and Lightyears. During its 20-year journey, Cult has evolved and diversified into a design house that also spans more broadly across product development, education and advocacy for authentic design – both local and international. Over this time, Cult has forged a reputation for its value for excellence: bringing the best to our clients with superior product, on-time delivery, excellence in service. 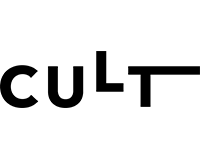 Today, Cult has four showrooms across Australia and New Zealand, along with three distributor showrooms and over 40 retailer partnerships – maximising the product offering within the commercial and residential arena. In 2017, Cult launches NAU – its first collection of furniture and lighting designed by a collective of Australia’s more spirited designers. Cult also expands into the Asian region with an office in Singapore to promote its Australian collection to the global market. Richard Munao and the team at Cult have supported the IDEA awards since the very first event in 2003. As major sponsors of the ‘Designer of the Year’ category for over 11 years, Cult’s long-established commitment to Australian Interior’s and Product Design is confirmed by this continual support.